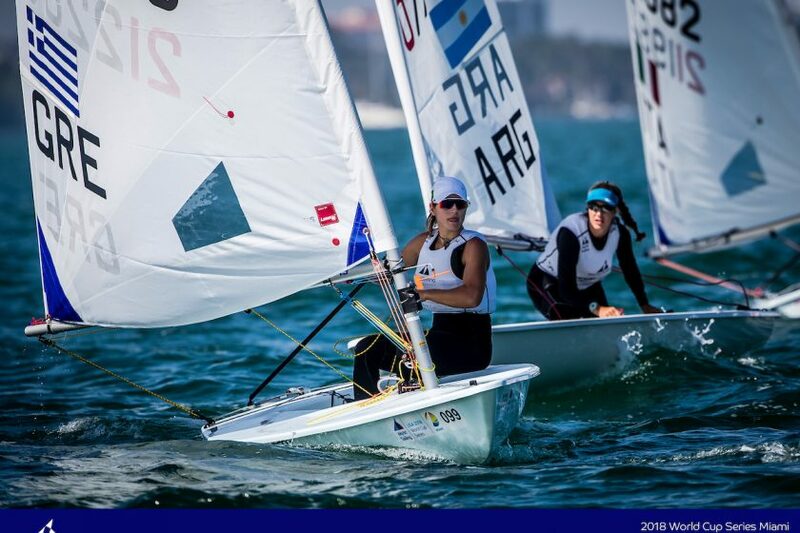 Moderate wind from 8 to 12kn prevailed yesterday on Biscayne Bay and the Lasers Standard completed another two races, while the Radials sailed three heats, as they were without results after the first day. Victoria Andrulyte UKR, day ranks 2 and 6 (and a discarded 17th) is the first leader in the Radials 2 points ahead of Valentina Balbi ITA. Vasileia Karachaliou GRE is on the 3rd place. In the Lasers Standard, the Olympic Champion Tom Burton AUS moved up on top ahead of Nick Thompson GBR and Thomas Saunders NZL, all three discarding the bad result of the opening day’s race 2.